The Moon Palace Cancun has so many great wedding venues to choose from! Whether you stay on The Grand side of the resort, or any of the other sections of Moon Palace, here are our top reasons for getting married at Moon Palace. 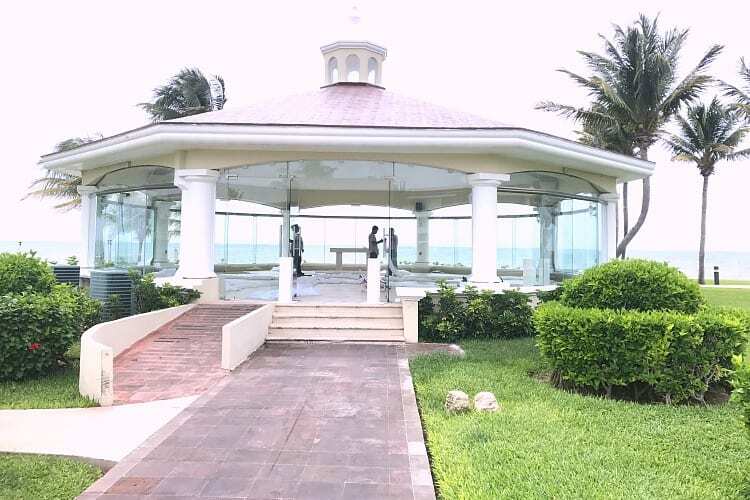 Our favorite wedding venues at Moon Palace are the Bugambillas gazebo, the glass-enclosed gazebo (pictured above), the Catholic Wedding Chapel, and of course, the beach! The wedding showroom at Moon Palace is very impressive, much like everything else at this resort! Encore Audio Visual and Dream Art Photography are their preferred vendors and they both have offices at the Moon Palace. 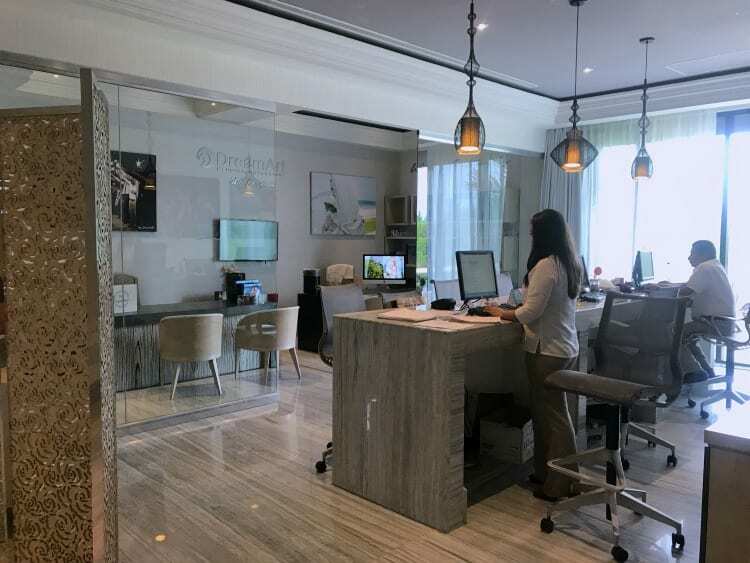 In fact, all of their coordinators and vendors have an office here so it’s a one stop shop and assures that you will have a well coordinated event. 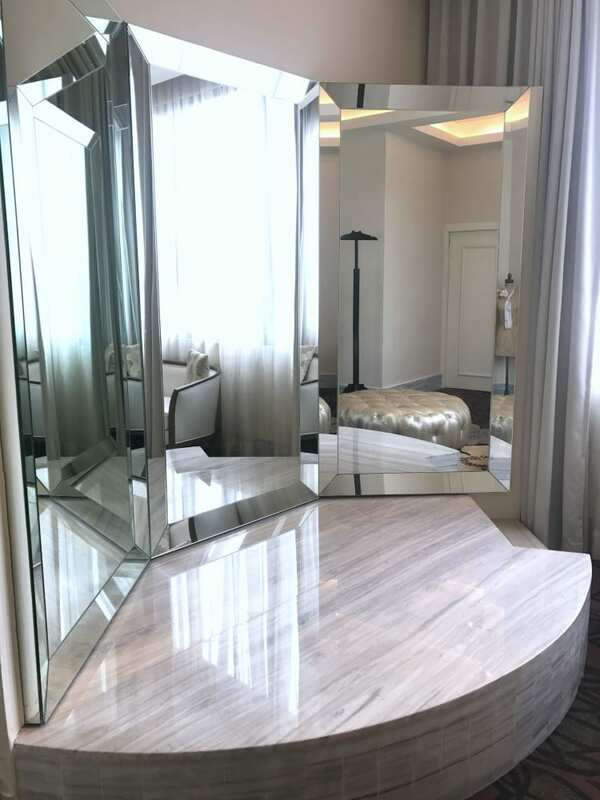 There is also a room where you can change into your wedding gown (pictured above). The Moon Palace Cancun books approximately 15 weddings per week during their peak wedding season (June). That sounds like a lot but you have to remember that they have a lot of venues – and don’t forget this place is huge. There is only one wedding per venue per day. You don’t have to worry about having another wedding party walking into your venue as you’re walking out. They also have 5 wedding coordinators at the resort and each coordinator is assigned only one wedding per day. so don’t worry about sharing them on your big day. When you get married at Moon Palace Cancun, you have the option to arrive at your ceremony in a horse and carriage for the ultimate Fairy Tale vibes. How many wedding venues do you know that offer this…anywhere? From the bouquets and centerpieces, to your band and entertainment, each bride has many choices for their big day. This is no cookie-cutter event. 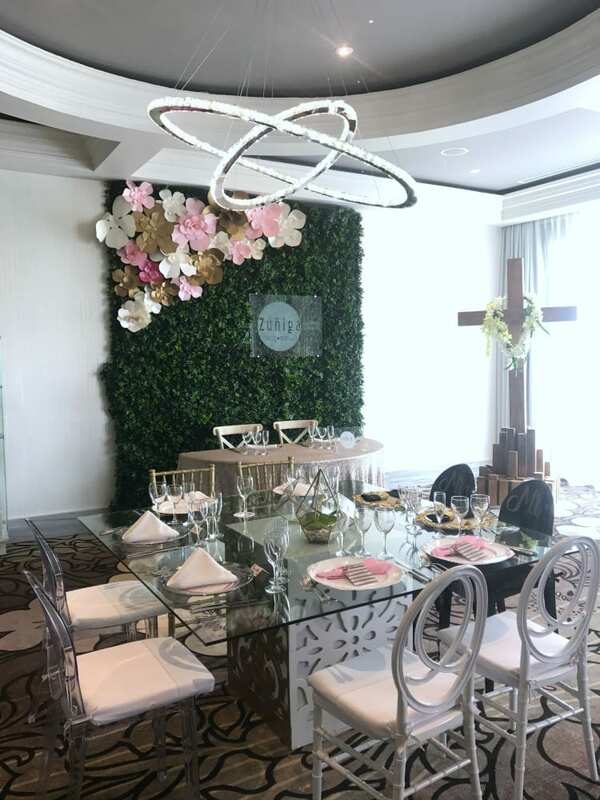 Each wedding at Moon Palace is completely customized. To start planning your destination wedding, call us today at 402-281-3022.